Read, post or share annotations with one click! Access laws that are updated and published long before any other source. Research legislation in collaboration with others. 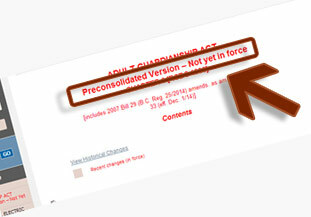 Compare the text of a section before and after a change with one click! Select Hansard (debates) - at section level! We offer an easier, collaborative & affordable way to research & track Federal and BC laws of your choosing. What Makes Quickscribe 2.0 Unique? With Quickscribe, you'll never have to question whether you are accessing the most current version of a law again. 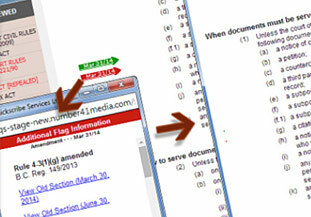 QS 2.0 provides access to laws that are updated weeks before any other source. How do we do it? Our system was built with the flexibility to allow us to post changes the same day they come into law. In fact, as a convenience to our clients, Quickscribe will routinely post early consolidations of key laws prior to coming into force. These early consolidations are rarely, if ever, found elsewhere. 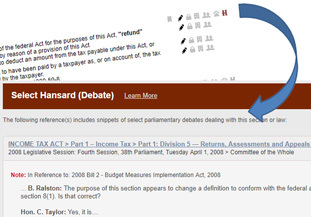 Whether you want to contribute and engage in the legislative discussions or simply benefit from reading the annotations made by others, Quickscribe's annotations deliver dynamic, value-added content that will enrich your legislative research experience. Quickscribe's ever-growing panel of hand-selected expert annotators contributes annotations throughout the legislation for the benefit of all users. You may also add your own annotations and save them as private (encrypted), organizational (only readable to those in your firm) or even shared with the QS community (moderated). The choice is up to you. Have you ever been frustrated with the process of trying to print off individual sections or entire laws from other sites? Quickscribe's popular PDF tools make it easy to print off professional-quality PDF versions of selected sections or entire laws on demand! These PDFs can also be saved to file. Clients even have the option to print both the annotated and non-annotated versions of the law. QS 2.0 includes a number of timely, detailed and fully customizable alerts that will notify you of both upcoming and recent changes to laws of your choosing. These popular alerts will ensure you keep informed of the very latest changes. 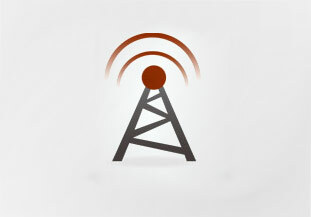 Each alert will provide detailed information with a link to the new/proposed change. Quickscribe has gained a reputation for sending these notices sooner than any other service on the market. Visit our alerts page to learn how these alerts can work for you. Access to historical legislation is important. Quickscribe excels at offering historical research tools that help you find what you are looking for quickly and efficiently. 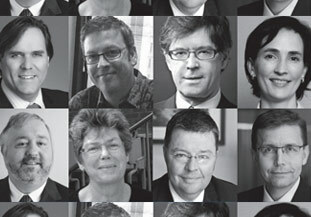 Select Hansard - at section level! Quickscribe's Hansard feature makes it easy for you to determine statutory intent directly from the section being debated. Learn more. 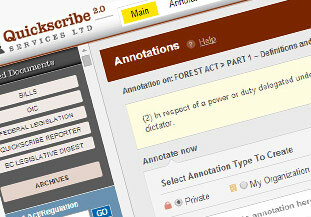 QS 2.0 allows you to share and contribute annotations and content for the benefit of others in your organization. Link building and document upload tools help to ensure annotations are dynamic and flexible enough to incorporate related documentation. Over time, these Organizational Annotations will add significant historical research value – a powerful contribution to the knowledge management of your organization. Organizational annotations (OAs) will help to facilitate collaborative discussion and awareness about legislative issues and cases that may be of interest to others in your organization. OAs are fully encrypted and can only be read or shared by others in your organization. For larger organizations, OAs can be filtered and saved to subgroups. You can follow OAs posted by colleagues and reply to or share OAs within your organization at any time. 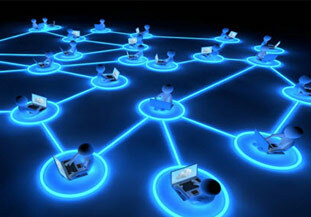 Document upload and link-building tools make it easy to contribute to the Knowledge Management for your organization. To save an annotation as an Organizational annotation, select "My Organization" when you go to save the annotation. The default is set to save annotations as Private. Quickscribe Community Annotations are posted for the benefit of all Quickscribe users. Saving your annotation as a QS Community (public) Annotation (QSCA) is a great way to share and contribute to the ever-growing, collaborative knowledge base that comprises all users. For example, your research may have uncovered a valuable tip or reference to a case that might be of interest to others using Quickscribe. Other users may want to initiate a discussion relating to the interpretation of a vague reference in a proposed law. The Community annotations are intended to facilitate this type of content/discussion for the benefit of all users. All QSCAs are moderated and reviewed prior to publishing. Portions of QS Community annotations may also be published to various public sites. To save an annotation as an Organizational annotation, select "QS Community" when you go to save the annotation. The default is set to save annotations as Private. Here's your chance to test drive Quickscribe Online. See for yourself just how easy it is to use! No software is required and confidentiality is guaranteed.